Schecter is a company that is often associated with metal guitars. 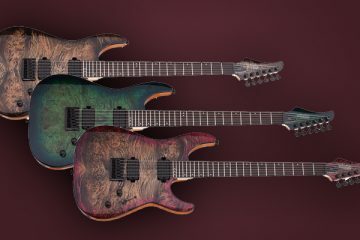 While they do offer some really tasty guitars for metal, such as the KM-7 MK-II, the Schecter line-up is quite versatile, with a large variety of offerings. Today, we’ll be looking at something a little bit on the classier side, the Schecter Nick Johnston TRAD. Now that you are familiarized, the Nick Johnston signature from Schecter feels exactly how you’d expect. This guitar is basically a strat with a few more modern appointments. One of the biggest features of this guitar that make it stand out is its ‘Thin C’ neck profile. It feels a bit more shreddy than a classic strat and is akin to the necks you’d find on the Schecter Banshee guitars. A lof of the choices that went into building this guitar were obviously inspired by the Fender Strat design. It’s very snappy and percussive, but maintains a nice amount of thickness, which is exactly what I want from a strat. 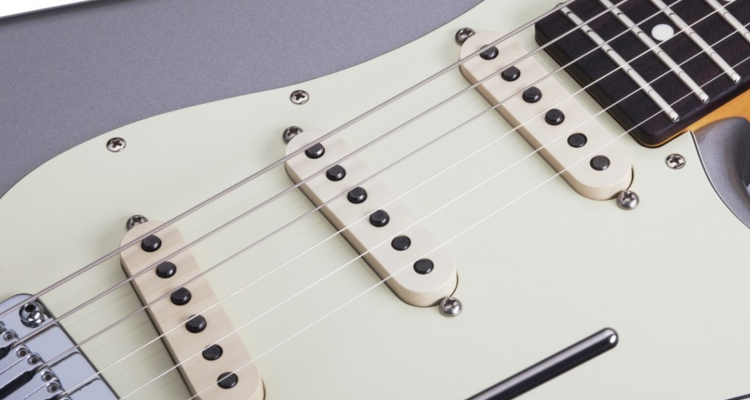 The Nick Johnston set from Schecter are highly versatile single-coil pickups. They are quite punchy and make for a great shredder set. To compare these to the Standard Fender Strat set, these seem to be a bit warmer. In terms of what they can do, I’d find myself to be able to comfortably play most genres on this instrument. 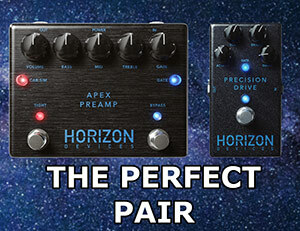 They probably wouldn’t be the best option for progressive metal styles as they don’t really stay as thick in low tunings and under extreme gain, but they do handle shred styles and 80s metal well. I had the opportunity to play a Custom Shop Nick Johnston Signature and was entirely blown away by that guitar, to compare this guitar to that one would be entirely unfair, but I was surprised by how well this entry-level version of the guitar played. This $700 guitar really felt like a higher end guitar in the neck area. 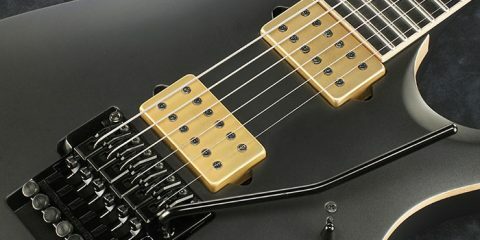 The frets were wonderfully smooth, and the action felt really great out of the box. I think where it lacked in comparison to the high-end model was sustain, pickup voicing, and overall mojo. While it played great, the overall guitar didn’t feel very ‘together’ if that makes sense. Overall, I was fairly satisfied for the price! The Schecter Nick Johnston TRAD is a great option for the guitarist who is looking for a strat on a budget. While it isn’t perfect, I would say it played better than most Mexican Fenders that I’ve played, so it would probably be my go-to for a strat under $1000! We upload new articles daily so if you liked this one, make sure to check out some more! 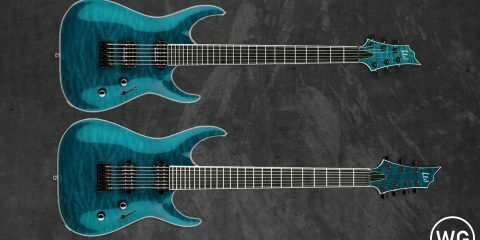 We are authorized Schecter dealers and can get you any current Schecter you’d like at the best price possible. 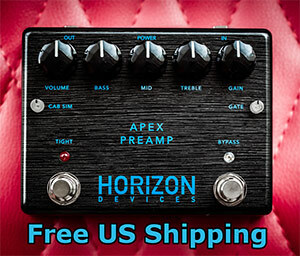 Also, don’t forget to join the Wired Guitarist mailing list! We send out occasional alerts for crazy guitar deals and runs. We only send out about one email per month and it’s 110% spam free! This article was written by Zac Buras, our editor located in Louisiana. 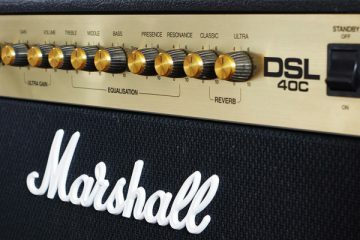 Guitar Amp Wattage: How Loud Is Loud Enough?